Conservation Districts of Iowa informs, educates and leads Iowans through our local soil and water conservation districts to promote conservation of natural resources. Conservation Districts of Iowa supports the soil and water conservation districts through public education, acknowledgement, commissioner development, policy, on-the-ground conservation, conservation practice promotion, events and more. 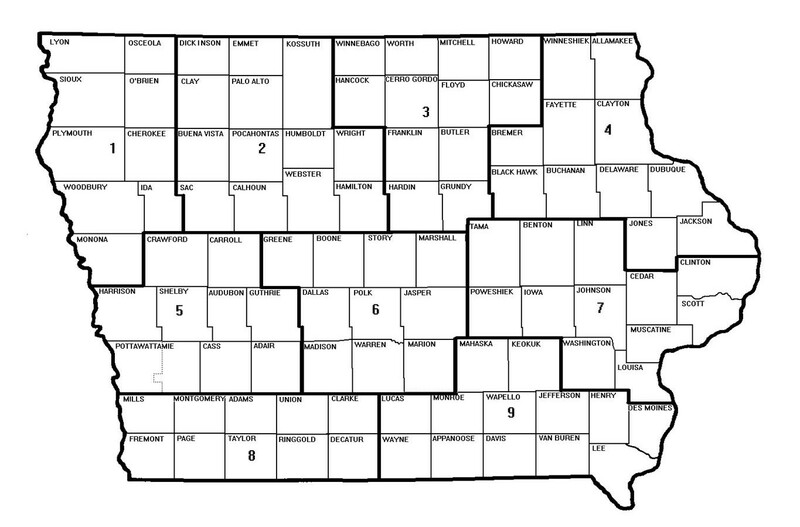 The 500 soil and water conservation district commissioners, five for every soil and water conservation district in Iowa, make up the Conservation Districts of Iowa’s membership. CDI’s day-to-day operations are governed by an Executive Board and Regional Directors. The 9 CDI Regional Directors each represent 9-13 counties in one of nine regions. CDI staff includes an Executive Director, Office & Projects Manager, Water Quality Specialist, 4 Private Lands Wildlife Specialists, 4 Private Lands Wetland Easement Team Specialists, and 2 Source Water Community Facilitators.